Brace Yourself Guys! 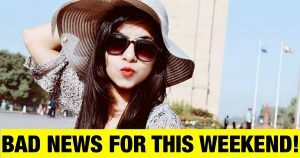 Dhinchak Pooja is all set to ruin your weekends once again (Apologies to the fans). Listening to Dhinchak Pooja’s weird numbers has already become an obvious brain-eating thing. People, in general, play her songs when they have an intention of irritating others, tagging our peers on her Facebook posts, sharing her videos on someone’s timelines, Dhinchak Pooja has become the medium of teasing. Now, who knows why God hates us so much! However, with her new previous’ like the musical number ‘Dilon Ka Shooter’ she once again trended on the YouTube for the utmost time. However, it has been some time, now, Dhinchak Pooja has just made an announcement on her next song.